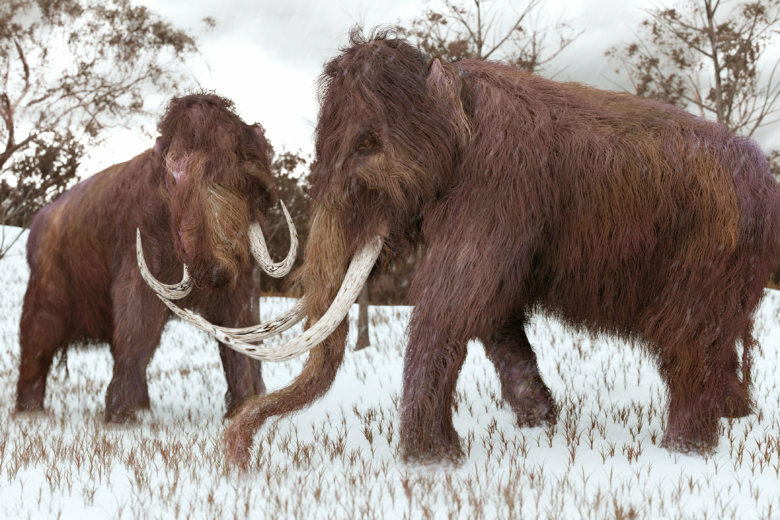 A 3-D illustration of two Woolly Mammoths grazing in a snow-covered grassy field during the ice age (45,000 years ago). Akira Iritani almost gave up on his dream of resurrecting the woolly mammoth. But a 28,000-year-old mammoth preserved in the Siberian permafrost changed his mind. Even in retirement, 90-year-old Akira Iritani still dreamed of resurrecting the prehistoric woolly mammoth. After decades of trying, the Japanese biologist admits he almost gave up. But when he heard about a well-preserved specimen embedded in the Siberian permafrost in 2012, he knew he had to investigate. Turns out the 28,000-year-old baby mammoth, dubbed “Yuka”, was just what Iritani wanted. In a groundbreaking experiment, his research team successfully revived Yuka’s ancient cells, journal Scientific Reports revealed this month. “I’d been trying to find dormant mammoth cells for 20 years but as I’m (now) 90, I thought I should just give up and accept death,” says Iritani, an animal reproduction expert and former director of the Institute of Advanced Technology at Kindai University in Wakayama, Japan. In the experiment, using a process known as nuclear transfer, Japanese and Russian scientists collected 88 nucleus-like structures from Yuka’s muscle tissue and transferred them into mouse ooctyes — cells that can divide to form an ovum, or female reproductive cell, in the ovaries. Iritani then used a live-cell imaging technique to see if the long-dormant cells would react. Wooly mammoths, which were about the size of modern African elephants, died out about 4,000 years ago. This breakthrough doesn’t mean that Iritan’s team will be cloning mammoths any time soon, however. Yuka’s cells had been severely damaged over the millennia. Better samples and improvements to cloning technology are needed if the team is to successfully take mammoth DNA and insert it into elephant eggs that have had their DNA removed. Iritani and his team are also aware of ethical questions over their work. However, he argues that understanding more about past extinctions will help scientists to better protect endangered species.